Hi Guys! Happy first day of November!! So we are really into fall now, can you feel that chill in the air yet?? There are so many things that I love about fall, but on this little post we are talking about boots!! I love a good over the knee boot, ankle bootie, chelsea/combat, knee high boot all of them! I am really into design lab lately. 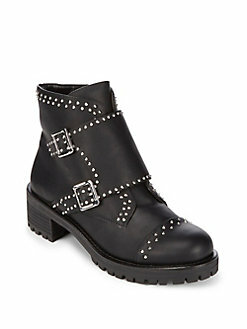 They have such great styles of boots and they are super reasonable. Love these leather booties they did for the season, they have such great detail and you can wear them with so many things!! And they are under $100!! I am also into this velvet moment that is happening right now for the fall. I mean how cute are these booties? They come in multiple colors and they are actually on sale right now for $70! I think these will be my next purchase, I can't just leave them there...right? 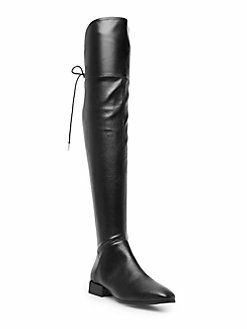 Of course who doesnt love a really good over the knee boot for the season? These are great easy basic black, for $99.99! Definitly check out design lab for your next boot obsession! Last but not least, these are on my wish list....I dream of them!